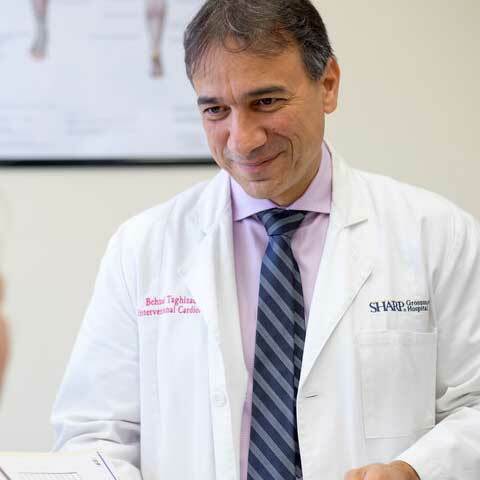 Dr. Taghizadeh is among progressive cardiovascular physicans across the country with specialized training and expertise in the management of varicose veins and venous insufficiency. He graduated from West Chester University in 1989. He received his medical degree from Saint George’s University School of Medicine in Grenada, in 1995. He completed a residency in Internal Medicine, General Cardiology, and a fellowship in Interventional Cardiology at Albany Medical Center Hospital in 2002. He then opened up his own Cardiology practice in North Carolina where, in addition to Cardiology, he began treating patients for Venous disease. With treatments such as enodvenous ablation, Clarivein, Varithena, Sclerotherapy and ambulatory phlebectomy, he has improved the quality of many of his patients lives and continues to do so. In 2015, Dr. Taghizadeh moved to the greater San Diego area where he began his new practice.